Mandala strains. They thrive in all grow methods and substrates: rockwool, expanded clay pellets, coco coir, soil, DWC/"bubbler", waterfarm, ebb & flow, etc. Hybrid vigour and our extensive selective breeding methods ensure rapid, strong growth and exceptionally good mother plants. The mother plants are easy to care for, have vigorous shoots, and are long-lasting. Quality of cuttings is excellent under proper plant care and they root quickly. Nutrient uptake is very efficient; root growth is fast and abundant. Plants require only minimal feeding or low EC to grow and flower optimally. Root mass is impressive in hydro systems. Leaf and stem size is very large. This facilitates rapid vegetative development and supports high yielding bud growth. 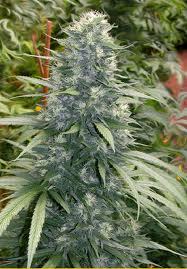 Outdoor our strains are valued for their hardiness and ability to withstand extreme situations. Plants that have almost been eaten or damaged to the ground will recover and sprout new growth. A unique trait of Mandala’s is their impressive heat resistance during hot summer months (exceptional root system; high water retention). Bud quality and yield are of a very high standard. Often growers report bumper yields from their Mandala crop regardless of plant height. The profuse resin content and tendency of Mandala plants to develop dense colas contribute to these rewarding results. Mandala breeding goals: pleasant and potent high hybrid vigour easy plant management high yields appealing buds (easy trim, compact buds, high calyx-leaf ratio, quality resin output) resistance against pests and extreme climate low % of undesirable traits (hermaphrodites, weak plants, etc.) 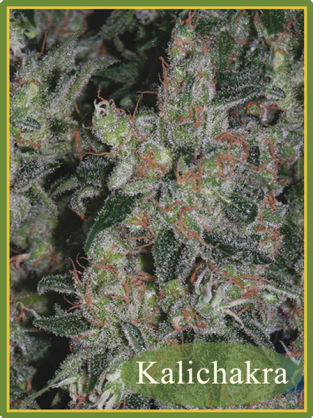 adaptability to various grow situations Aroma The aromatic properties of each strain are described in the strain info. 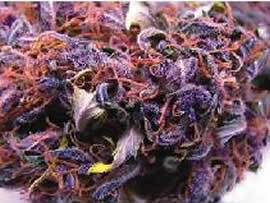 Please note that aroma, and especially taste, are dependent on grow methods and how you dry and cure the buds. Therefore, variations in the aroma of a strain, between different cultivators, are quite normal and logical. 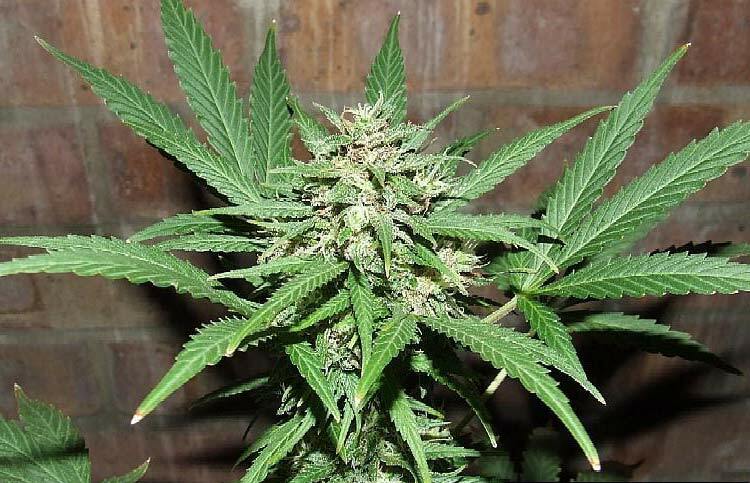 Growers regularly express positive feedback on the aromatic qualities of our strains. Organically grown Mandala buds should have a sweet taste. In most Mandala strains the aroma is composed of a fine mix of scents and wonderfully balanced. This lends an interesting, multilayered, and enjoyable quality to the buds. Most often, seasoned growers describe our strains as having an "old school" taste such as the marijuana of the 1970's. The smoke is smooth and rich. Extra tips: During peak flowering the grow room can fill with the scent of the plants, but it is seldom a problem for indoor set-ups. Usually one has to brush against them so that the aroma becomes strongly noticeable. Take a look at our STRAIN GUIDE for recommended low-odour strains that are especially suited for a "stealth" grow. Taste can be negatively affected by improper drying and curing and bud mold. Also overfeeding and the use of bio-pesticides & fungicides adversely affects taste. For more info on how to get the best aroma out of your buds please refer to our topic on harvesting and the FERTILIZING SMART GUIDE. Phenotypes In biology the word "phenotype" is used to define the distinct characteristics of an individual resulting from the interaction of its genes with the environment. When we talk about "phenotypes" we restrict this to a major set of differences between plants in a strain. It is unnecessary to distinguish between plants and mark them as a distinct "phenotype" because of an insignificant variable. Which phenotypes in what % you will see in your garden depends on how many plants you grow out, plus the environmental conditions & cultivation style. You determine phenotype as much as the genetics may do! 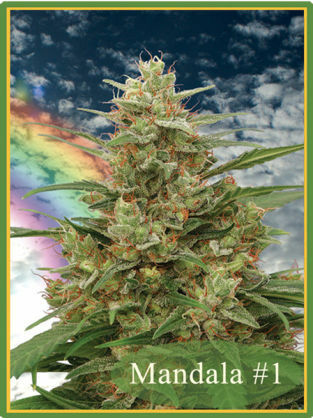 There are two main phenotypes in several Mandala strains. Differences in appearance are however kept within normal limits so that the garden remains fairly even in growth and easy to care for. The variation among Mandala plants is surprisingly low for F1 hybrids (contrary to popular opinion an F1 generation can exhibit considerable variety). Depending on individual taste and expectations growers can also choose their favourite pheno as a mother plant for growing from clones. In Hashberry and Sadhu the differences among phenos are primarily restricted to the amount of branching and have less to do with height for example. Ganesh shows very little variation. If there is a noteworthy difference among phenotypes you will read about it in the strain details. All other particular or peculiar growth patterns that you may observe in your garden can be due to environmental factors affecting your plants on an individual basis. Common factors are: light intensity, nutrients & plant growth products, pH, climate, pests and diseases. One of the highlights in our genetics is that our strains can be grown in SOG style from seed. Many growers compliment us for the homogenous appearance of our strains. However, we strive to keep a careful balance between homogenity and hybrid vigour. One can be lost for the other if there is no strict guideline during breeding to prevent this. Our aim is that each plant is worth growing in a strain regardless of phenotype. In a real-life scenario of a substantial crop of 100+ females you would find only 1-3% of plants that may fall below standard. This ensures a quality crop from seeds even on a commercial basis.